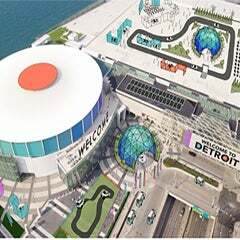 For the second year in a row, attendees will travel to Detroit to celebrate inspiring young innovators, leaders, and change-makers at the FIRST® Championship April 24-27 in Cobo Center. 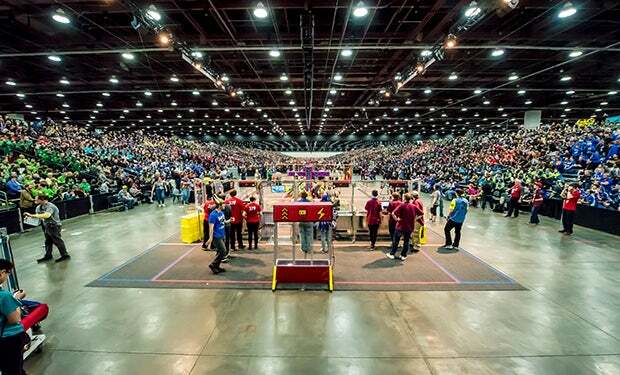 The world’s largest celebration of STEM for young people includes more than 30,000 students in 1,400 teams from 74 countries, supported by more than 6,000 coaches and mentors and 2,400 volunteers and cheered on by more than 70,000 sponsors and spectators. 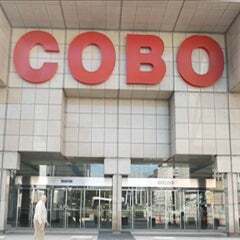 Cobo Center opens 623,000 square feet of contiguous exhibit hall space for the main events, all filled with bleachers to seat spectators. Teams of tudents demonstrate the capabilities of the robots to judges to compete for global best in class awards. The roar of the crowds and excitement of students are palapable, and not to be missed. Spectators must register for the event and admission is free. 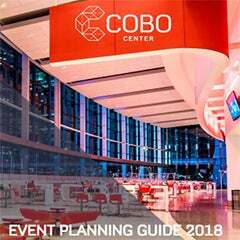 The FIRST® Championship is a full facility event, utilizing all one million square feet of Cobo Center's rentable event space. College recruiters are on site to speak with competing students, and the awards are presented in Cobo's 40,000 square-foot Grand Riverview Ballroom. For nearly 30 years, FIRST has engaged millions of people in a global movement to build problem solvers who transform our world. Each year, the FIRST community celebrates young innovators through high-quality, inspiring, life-changing experiences, the culmination of which is the FIRST® Championship. Be prepared to witness something extraordinary – and we don’t mean the robots.